Various gels have been used to evaluate the dynamic response of soft tissues. In dynamic experiments studying the brain response to impact loading, gel materials are used as surrogates in the exploration and calibration stages of the experimental research. Gels are simpler in handling and can be made in large quantities. In such experiments, it is clear that the dynamic mechanical behavior of the gels must be similar to that of the brain tissues they are representing. 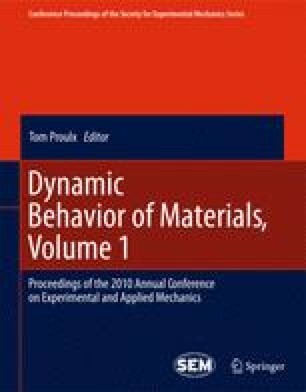 The objective of this study is to experimentally determine the mechanical properties of artificial gels over a wide range of strain rates, in addition to rheological analysis. The behaviors are then compared to that of the brain tissues under identical loading conditions to find candidate gel materials that respond to dynamic loading in a similar manner as the brain tissues. The gels investigated include Perma gel, collagen gel, and Agarose gel. Each type of the gels has multiple concentration levels. The results show that the mechanical properties of agarose gel with concentration of 0.4-0.6% are close to that of brain tissues.